“Why is the government making me take my money out?” As a financial advisor, I hear this question frequently. 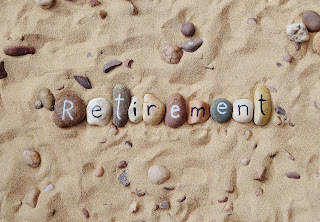 When you reach 70 ½, you must take Required Minimum Distributions (RMDs) from your retirement accounts. It isn’t a large amount, less than 4% the first year. When you were making money, you could put $1,000 into your IRA, 401(k), 403(b), or other qualified retirement account. If you didn’t put it into your account, the money would end up in your checking account. However, you would receive less, because you would pay tax on it. If you were in the 25% tax bracket, you would have $750, and Uncle Sam would get $250. Fortunately, you decided to put the money into your retirement account instead. You kept Uncle Sam’s money. The $1,000 continued to grow and grow. Even Uncle Sam’s portion was working for you! In fact, this is like an interest free loan from Uncle Sam! The IRS says you must start taking money out of your IRA at 70 ½. Why 70 ½? Why not 70 or 71? I have researched this quite a bit and found no definitive answer. My best guess is this is a result of a compromise. Your RMD is calculated by a formula. They look at your account value at the end of the previous year. This amount is divided by your life expectancy. For example, if your IRA was worth $100,000 on 12/31 of the previous year and you will be 70 in the year in which you turn 70 ½, $100,000 divided by 27.4 = $3,649.64. Now that you know how much money you must take out of your account, what do you do with it? First, most people withhold a portion for taxes. Talk to your tax accountant to see how much they recommend. Save it – You can put the money into your savings account or into an investment. This money can be for a rainy day. When is the best time to take your RMD? There really is no best time. I have some clients who like to take it in the spring so they have money for summer trips. Other clients take it in October so they can buy Christmas presents for grandkids. Some clients take it monthly to supplement their income. Just find a distribution method that works for you. 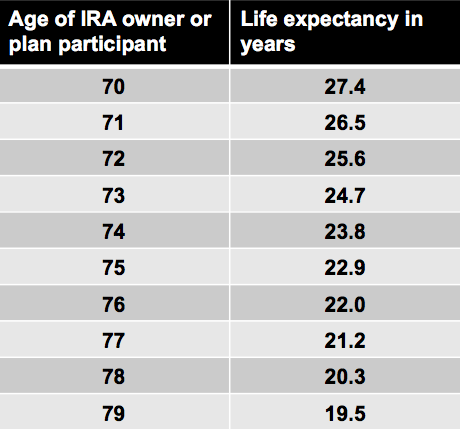 If you have a Roth account (Roth IRA, Roth 401(k), etc.) the good news is you never need to take an RMD from this account. This account can remain tax free and go on to your heirs if you wish. What happens if you miss your RMD? This is a big penalty – 50% of what you should have taken out. If your RMD should have been $4,000, you owe a $2,000 penalty. It is cheaper to take the money out and pay the tax. You can fill out IRS Form 5329 and try to have the penalty waived. They will often forgive a mistake. Required Minimum Distributions are just a fact of life and not that complicated. They are not an evil attempt by the government trying to get your money. In fact, they just want part of their money back.